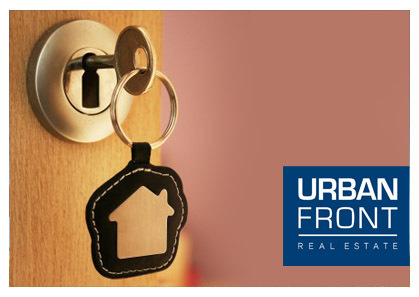 Urban Front was chartered in 1999 with the vision of being a real estate company specialising in the sales and leasing of residential, commercial and industrial properties as well as providing expert advice and consultancy on real estate investments - locally, regionally and internationally. Our corporate mission is to assist our clients achieve the best returns for their real estate investments. In addition, we also advice and act on behalf of a select group of foreign and local investors who are constantly looking for opportunities in real estate investments in Singapore and overseas. This is a unique real estate phenomenon where land is being “redeveloped” due to its scarcity in Singapore. Be it apartments, condominiums, residential/commercial, industrial or landed properties. Enbloc sales offer tremendous potential for all owners to act collectively to unlock their land value and achieving unsurpassed ROI in their real estate investments. However there are many legal requirements and technicalities to be fulfilled in order for such enbloc sales to be successful. Good Class Bungalow (GCB) and bigger landed housing plots which are suitable for subdivision or redevelopment would be appealing to investors and developers due to it’s scarcity and uniqueness. Commercial properties (including retail shops, offices & hotels) and Industrial land properties which are non-strata titled also fall under this category of land sales and which traditionally have a higher investment yield than residential properties. Our team of real estate investment consultants possess the knowledge and experience to provide our clients with the vital advice and value-added services on market information, in-depth analyses of investment potential, sales and acquisitions, lease and rental renewals, facilities management, etc. Residential properties in Singapore have seen an almost exponential increase of value over the last 20 years due to it’s scarcity and increasing affluence & available investment funds. With the extremely low interest rates in Singapore for both personal savings as well as cost of funds for property investments - residential properties are in great demand. Fuelled by the local population looking to improve their lifestyle and foreigners with an astute eye for a safe and viable investment returns. Our team of experienced and dedicated real estate consultants offer the full scope of services to ensure the maximum and realistic interests of our clients when they wish to dispose of their residential property. We fully appreciate the anxiety and concerns of expatriates being relocated to live and work in Singapore. Whether living here as single or relocating with their families, acquiring suitable accommodation is only the start. Let our team of relocation experts assist you in your move to Singapore and your concerns including location selection, neighbourhood demographics, eating places, places of worship, schooling for your children (if any).